Spray the slow cooker with oil, then add all of the ingredients (minus the sesame seeds and arrowroot) to the slow cooker. Pop on the top and cook on medium high for 4 hours. When there’s about 45 minutes left, open it up and chop up the jackfruit with a spatula so it looks like shredded meat. Mix a little arrowroot starch with water, then pour it in. Cook for the remaining time. 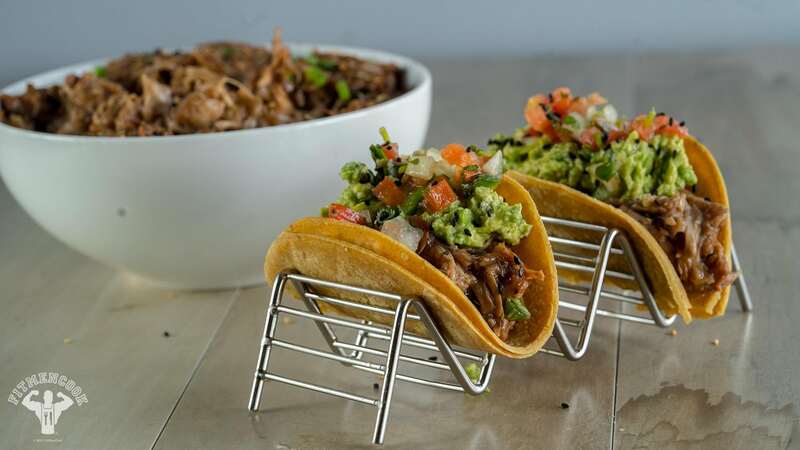 To make tacos, use corn or wheat tortillas, then add a small portion of jackfruit, avocado mash and pico de gallo.